When the highly anticipated rugby match between the Manu Samoa and the team from Tonga kicks of tomorrow in Apia Park Stadium, the visiting squad can count on the helping hands of a very special staff member: Emilie Tufte Sandvig from Norway. 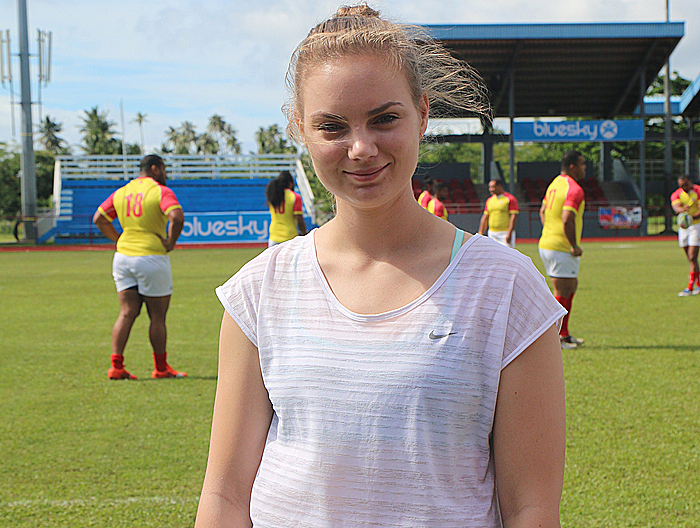 The visiting student from Asker, a small suburb of the Norwegian capitol of Oslo, is currently spending five weeks in Samoa as part of her studies as a physiotherapist. Her placement was organized with the help of international volunteering programme Projects Abroad. For the prospective physiotherapist, the work in Samoa seemed to be a welcoming change from what Emilie was used to in her Scandinavian home country: “I am already done with the three years of my general studies in Norway and in the current fourth year, I am supposed to spend some practical time with actual working experience”. As she explained, the idea of working as a physio for an international rugby team had never crossed her mind: “I do not know how this exactly was made possible, but somehow Projects Abroad was able to make contact to the team, and as it turned out, they were desperately in need for another physiotherapist. I would have never thought about that opportunity. I enjoy the work as a sports physio and it provides me with a new insight at the job. But I’ll have to see if this is what I want to specialize at”. 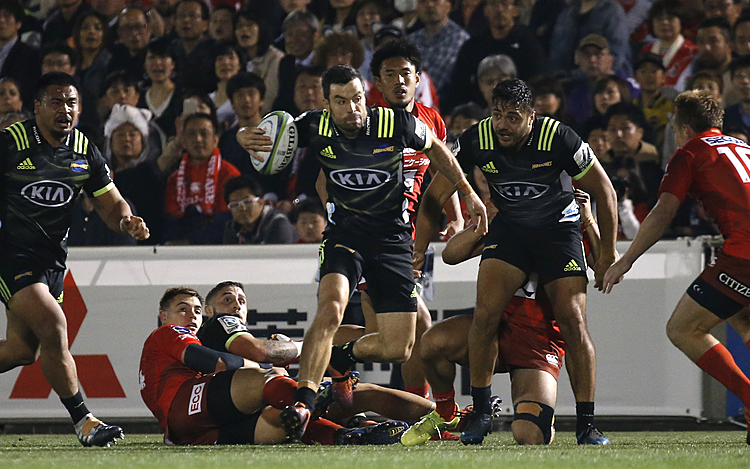 Being not quite familiar with the highly physical sport of rugby, Emilie soon found herself in an unexpected but profitable working environment. “In Norway, rugby is not a common sport, so that was completely new and different to me. But I soon realized that it is a lot of fun and a good opportunity to gain actual work experience for me”. Emilie’s work with the Tongan national team therefore is of a diversified kind, focussing on “strapping before [the team’s] training and some massages if needed. After the training sessions, the players need massages for their muscles, because they get sore. Some of the players also need special treatments like exercises and stuff, but mostly my work as the team’s physiotherapist includes the massaging of the players and some stretching”. The contact with the rugby players is an absolutely pleasant one, as Emilie Sandvig could assure: “They’re very friendly and they also ask interesting questions about my home country, so it is really fun to be around with the team”.